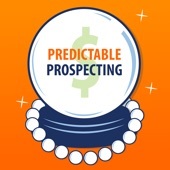 The goal of the prospector is to generate good leads and close sales, and sometimes it’s worth seeking out options from someone who operates differently than the way that you do in order to improve your techniques. Today’s guest is Peter Lang, CEO and founder of the Uhuru Network Uhuru is a company that drives client success by increasing monthly leads, generating site visitors and more. Listen to the episode to hear more about how Peter’s company works, what the onboarding process looks like for Uhuru’s clients, and how the GDPR affects Peter’s business. Marylou: Hey everybody, it’s Marylou Tyler coming to you, actually video today, which is unusual. I have to get dressed and all that good stuff. I was telling Peter my guest that my office look like a tornado had hit, but luckily, it looks pretty good now for all of you, I hope. Today’s guest is Peter Lang. He is CEO and cofounder of a company called you Uhuru. The reason why I think you’re going to love this particular podcast is because Peter and I have fundamentally, different views on some of the items within setting up an agency and also how the teams work together. I’m very interested in how he’s implemented his solution. I want him to share with you what he’s done because a lot of times, we get stuck in this, “Oh my gosh, I need to hire full-time employees for the sales development role or for the marketing rep role.” whatever it is that you’re looking for. Whether it’s inbound or outbound referral but we also think collocation that they should be together because that allows them to learn faster, to play off each other, to role play and to bring that energy up that we need in the business development area that I think we need. Peter is going to talk about why that may not be the case. Peter, welcome to the show today. Peter: Thank you, Marylou for having me. It’s going to be fun to share our we built a distributed at predictable sales process that is counter intuitive to everything you believed. Marylou: Exactly. Without further ado, how did you pull this up? We’re taking fundamental things that I believe in, for example like collocation, but you’re saying no, it’s trending differently now and you have a lot to say about that. Why don’t you tell us first about why you got started with this type of offering? Why agency versus in-house? That was the selling point in your mind to go ahead and invest your time, energy, effort, expertise, money into doing this type of offering for clients. Peter: Great question. We built an international digital marketing agency and so I use the word international as a key part of that. All of our clients are located all over the world, they’re distributed. We thought about building a team and scaling a team both from a client services standpoint but also from a sales team standpoint. It just made sense to have the interaction that we have with our accounts, our clients, that’s distributed and remote be the same for us internally. Never mind the overhead advantage that comes with having a distributed remote team. We started looking at the benefits and looking at what we could achieve with it. It was a no brainer, while the world is trending towards remote telecommunication was in question many decades ago and now it’s showing that you can be productive. You can work from your home office, you can work from anywhere in the world, you can accommodate and accomplish many things organizationally that you’ve been tasked with when brought into a company. We’ve applied that into our sales organization. Marylou: Share with us the typical onboarding process for a client. I know you mentioned before we got live today that this applies to whether you’re selling a widget, this applies whether you have a high technology product, is that correct if it’s multiple industries? Walk us through the onboarding of a client and what would we need to give to you in order to be able to hit the ground running, be productive and start ramping up towards our numbers. Peter: It’s helpful to describe the sales process and that will help identify the transference of knowledge that goes on at each stage of that. When we don’t care about the thing that you’re talking about, you don’t have conceptual commitment. Our entire sales process was built to get conceptual commitment before advancing any level of value. I’ll get specific on this from an outbound perspective because it’s one my favorite. Even though we focus on inbound as an agency, the outbound side of it is probably the most interesting for you and kind of helps me come back to this distributed model. Outbound, as a whole, I believe, and we’ve created a process around this where you have to get prospects to raise your hand, something that you’ve recognized through your work with Aaron Ross, something that you preach in your books. We thought, okay, the agency model where it’s really commoditized to services and agencies don’t typically do their own service very well. How can we get people to raise their hand because we don’t want to compete when they’re looking for an agency? That’s not a good space to be in with any prospect when they’re in evaluation of another provider. You have a lot of, what feels to be bravado, in the sales process to put you ahead of the competition. We ask for conceptual commitment which is if we provide you with value upfront with no obligation, would you spend a few minutes to review. That’s the first yes, we’re trying to achieve. Pretty simple. If they say yes, this can be positioned for a long sale cycle—ours is 45 days—but if you can position this value offering and get them to raise their hand saying, “Yes, the thing that you’re providing I would find valuable enough to dedicate a few minutes to review it.” then you’re able to say, “Okay, let me prepare something.” this is the targeted account trendy language that everyone hears about today. I’ll prepare something specifically tailored for you, so I can provide you with value. That’s our first interaction point from outbound and inbound. Now, what’s most important is the objective of that is not to have a call. There’s another set of outbound sales depending on how you describe your pipeline process which we’re not trying to drive a call, we’re trying to get acknowledgment of the pain point based on the value we presented. It’s conceptual commitment and then acknowledgement of pain. If that’s the genesis of any conversation we have, it takes a lot of effort from a sales rep to create that and so when you talk about having an office environment where sales teams are ringing bells, getting motivated by deals closing and that kind of enthusiasm, it doesn’t give or harness real focus of the sales rep. Sales reps need to in our sales process to deliver value have to be really focused on the individual they’re talking to. We found it’s been very helpful for them to be remote than to work from a home office or from another location where their primary focus is set into delivering that value, not in the energy around closing deals. Does that make sense? Marylou: It makes perfect sense. Peter: This whole mechanism is an acknowledgement of effort we get per rep around 10 raise of someone’s hands per week. Our deal values go from anywhere, if you look at just LTV, it’s half a million. We are a 45-day consultative MRR, retain service, high-valued, lot of educational sales process and we’re able to get 10 people to raise their hands not inbound, these are outbound prospects who acknowledged our outreach. When we create that model, and we say, “Okay, now we’ve given our sales rep the ability to implement this themselves, they get to control their own environment, describe their own destiny and make it happen, then they don’t need…” Again, they don’t need the reinforcement of the highs and lows that being in an office together really stimulates. Oftentimes, when there’s so much failure in the sales organization just because of low conversion rates, the energy of the sales team can kind of build each other up to keep pushing through and have that drive. When we built a positive success and predictable exercise through outbound sales, you don’t need that motivation of that uplifting environment. Marylou: Okay, so let’s stop there. You mentioned of the account-based methodology, for lack of a better term. My question to you there is, I’m remote, I have my accounts that I’ve been assigned, is that how it works? Or is it, I’d go in and see what’s available and pull what I want, does it really matter? How does this selection of accounts work? Are you in this value theme trying to get these distributed reps to focus on certain segments of the market or are they experts in multiple persona types? I’m a little bit confused there, how that would work and if do they switch their languaging based on who it is they’re contacting? Peter: I talked about a prospect fit matrix, very common language in sales. The key thing for us was identifying typical issues. There’s a difference between prospect fit and typical issues and typical issues allow us to tailor messaging and tailor the communication necessary to gain one’s attention. If I know what you are working from a home office, I already know the typical issues you face sitting at your computer day-to-day. If I know the environment, I can already identify what to communicate with you. How we do that is we define it by technology. For us, it’s marketing automation. There’s a level of sophistication of our prospect that’s needed to hire or be qualified to hire someone like us. A lot of organizations have this. If you are pointing after CSOWs, there’s a level of sophistication that’s required for them to understand the value that you’re providing. We need to qualify that value, and for us, it’s indicators of certain technology platforms. The very common way of creating databases. You can take HubSpot, Marketo as great examples. If a company of a certain revenue size has technology on marketing automation, were able to generate a list based from the regions, qualify that or filter that based upon executive positions. We use a great tool, the founder of Growbots, if you haven’t heard of it, Greg, he got my attention with an email referencing you and Aaron Ross. He said, “I see you follow Aaron Ross and Marylou Tyler on Twitter, our solution makes it easier to practice predictable prospecting.” He understood that. When we had our initial conversations, it just sparked me in saying, “Okay, he understood who he was talking to base on who I was following, based on someone that know social selling, enriching data.” And so, we use that same approach and the rep was able to say, “Okay, I’m going to email.” because we use outbound email–really effective. We don’t believe in cold calling. We don’t want to talk to anybody who doesn’t want to talk to us. Sales reps don’t enjoy it, people just typically don’t enjoy it, and so we are always in the position of they want to have a discussion with us for us to provide them with value. It’s a win-win engagement throughout the sales process and our rep’s morale is higher because of it. The other most incredibly important aspect of that is, “Okay, we’ve now identified a list that we’re going to email based off of a company criteria within verticals.” We do know that typical issues of individuals with certain marketing automation technologies within certain verticals have similar issues in the implementation of their marketing sales organizations. They were able to craft that messaging based on that. Marylou: You do segment as much as possible to get the conversation be more succinct and aligned with the person or the persona as we call it. Marylou: Okay, very good. Alright, that was my first question. Another question I have about that is, let’s say I am working with a pathologist and they’re looking at a microscope-based solution, a digital microscope versus a scanner. Depending on the sophistication of the institution, there are certain disqualifiers that I want to ask upfront or want to know upfront that are not going to be in some database somewhere specifically. How do you add value and yet disqualify at the same time because at top of the funnel, we’re working with a lot more records and our goal is to try to get them to the meaningful conversations that you’re talking about. We have to go through some sort of process where technology still is not enriching the data enough for us to know whether we have all of the you know eyes dotted and teeth crossed so that we can have a more meaningful conversation and focus in on that value. We still need to know certain things before we can start that conversation. How does that fit into this when the databases are still not quite ready to give us all the information that we need in order to know the fork in the road before you we make that phone call or before we send that email? Peter: Great question. This is a fundamental aspect of what we implemented to work with others. You’re trying to get someone’s attention. The most important factor from our vantage point is to create a database of individuals who fit the prospect criteria. Whether or not they’re actively looking to purchase is another step. At the end of the day, we’re trying to create a database of known contacts that are in organizations and in positions of authority–so decision makers, who fit our criteria whether or not they’re in a purchase decision today. That’s the most important piece. When we talk about how do we uncover the information in our sales process to identify what stage of the buyer’s journey they’re in, whether or not we’re trying to gather that, I’ll run through how we do it and show how that can be mirrored with other organizations. The first one is we’ve sent an offer to provide value upfront, we deliver on that offer. We send it with no obligation to have a phone call with us. We give you the thing we said we’re going to give you. It’s not an e-book that was already written, it wasn’t something that was already crafted. We have systemized it so it’s efficient to produce, and it’s less time-intensive, and we’ve automated the ability to do that through business development reps focus on it. You guys preach this where a sales rep shouldn’t be doing prospecting where you’re trying to remove them from the repetition work, […] and have them focus on high-value which is providing that value and taking that call and then you jump on the next call. We are able to connect call, many do. On that call, it’s based on the understanding of the value we’ve already delivered. Our objective is to make sure the prospect we’re sitting in front of understands the thing we gave them and in that we say, “We will also have additional follow up questions to help us determine or bridge the gap between the things we’ve identified which are surface level, we don’t have access to your accounts, we don’t know what’s going on at your organization and more systemic issues and these typical are usually the case. Marylou: Okay, I got you. It’s giving upfront a more generic—even though it is personalized because you’re saying it’s systematically personalized or data driven, as I like to call it, but there is a uniqueness to it that is given upfront, and then after they’re starting to engage, then you gently bring them through, what I will call, a disqualification. In my world, we have, “Are we really a good fit? Is this a waste of my time?” I’m trying to get in my head, is the waste of my time call preceding the gift? Peter: Here’s the interesting thing. If you are targeting, we’ve already identified that the company and the context typically fit based off of success. We’re not wasting our time talking with people who are in companies that don’t typically hire agencies. We know we’re already having initial conversation with a higher probability of success than the fact or would be otherwise. This is why the targeting is so important because if you’re just spamming and then going aggressively to anyone who will breathe into the microphone when you hop on the phone with them, you’re going to have to have a qualification criteria to be more rigid. We don’t. Marylou: If the data is available. It’s not always available that’s the problem. We get the total addressable market which is what you’re talking about. Predictable revenue was like the market and now we said, “No, we got to segment.” and now it’s a total addressable market but we’ve even taken it further to say, “What’s the total serviceable market?” Sometimes there’s not enough data points to help us go from the total addressable market to the total serviceable market. We’ve got to do some level of disqualification still. Peter: And we do that through the touch point that we’re providing value. Just by the thing that we’re sending, where they raise their hand for acknowledgement, they’re also indicating that they have that type of problem. Marylou: That thing is something that interested in […]. Peter: But you have to get conceptual commitment at each stage so progressive yes is the way they […]. The fact that they said yes to our initial offer and who we sent it to, our feedback loops of how we’re going to effectively communicate throughout the sales process. I’ll use this one as a good example. You have a chief revenue officer who’s concerned with inbound sales funnels. Basically, how their sales team is receiving marketing qualified leads in the qualification criteria for that progression SQL and action, that’s all different than having a marketing director who’s concerned with the performance of their e-books and their content marketing. Based on the first interaction point, we’re able to qualify the pain point before we even have the initial call. This is what’s really important, we try to only have conversations with almost pre-screened—because it’s not qualified, we haven’t spoken to them—but pre-screened prospects who are confident that there’s an opportunity. Now, it’s our job to identify fit as you would like to say, we use the same terminology, but our next step of the sales process helps us do that. We do a business assessment as a requirement. Marylou: Okay, business assessment is upfront? Peter: Upfront. Another thing that other companies charge for, I firmly believe that if you want to have a competitive edge, you got to give away the thing that other people are charging for. If you really understand the value you bring to them, and for us, it’s not telling you and teaching you what the problem is and how to solve it, it’s solving it for you. There’s not an objection from our standpoint to tell you everything you need to know about the problem you need to solve because that’s not why you hire us. We have a clear understanding of our delivery and our value to our prospects–that helps us be able to craft that message. This is a requirement. If you think you know what it is that you have as a problem and you’re hiring an agency for, it’s not that we don’t believe you, but we don’t believe you. The strong statement is, you’re not qualified to hire us oftentimes. It could be bandwidth issues, it could be experience issues, it’s our responsibility and Jay Abraham always talked about the fiduciary responsibility of the company to guide you through this process and we believe that fully. We require a business assessment, and then in the gathering of that is a nondisclosure agreement, we gather all the intelligence and we have a completed business assessment, our probability of close goes up to 75%. Marylou: In the world of, what is the number now, it’s depressing, I think it’s between 10% and 20% close rates on average for the industry now. It’s just pathetic. Peter: Yeah, it’s because you’re really not motivating. Now, I want to be very clear, we do not accept everyone. We’ve defined that as a part of us and we recommend other organizations do the same. If you incentivize your sales reps purely for closing deals and not filtering those deals based on quality, like them really understanding how that needs to be a priority for them, then you’re going to have unsuccessful conversions. You’re going to have customers who are unhappy with the service they’re providing on a product that they purchased and that’s going to dilute the brand value overall, and it makes the sales process more tedious. Convincing really isn’t a great fit in trying to find fit. Ian Altman talks about the framework of same side selling. You should be on the same side as your prospect in trying to figure out if they’re going to be a good fit to move forward. When you take that approach, again, your conversion rate is going to be much higher because you’ve really vetted the process. We don’t always move people to a business assessment, we clearly say, “You know what, based on the connect call, we’re going to leave you better than we found you. We’ve given you upfront value, feel free to leave us a review, that the engagements that you have or me as the rep, leave me a comment on LinkedIn, but we’re not a great fit to help you.” We promote that type of positive energy out there and that always come back to enhance everything that we’re doing. Marylou: It’s so important. I think in the long run, even back when Predictable Revenue was written, the Predictable Revenue formula talked about high lifetime value, high revenue, high likelihood of closing and then high referral. By definition, they’re loyal, so that helps build those other two channels of inbound and referral. It’s not all about outreach and we preached that a long time. Somewhere along the line, it got to this crazy thing, I think because of email where we just decided, “It’s okay to spam people.” But now GDPR is sort of reeling us back in saying, “No, you can’t just email people.” I’m curious you said you worked all over the world, does this model of ebb and flow based on the requirements of the country and GDPR? How does that work now if our lists are going to get really tiny? Peter: Yup, so we look at the prospect universe. The available universe that we have to prospect from are data source leads and we look at how that information is available to us. Number one is, you don’t use a US company to do your prospecting list. To be more mindful to the legalities or the legal restrictions in outbound sales if you’re doing anything for list building, use a European company. Use one that has a legal environment that’s already restrictive and that default applies to the US. The company we use is based in Poland. They have a really strong view of European regulation that is evident through the tool even though we’re using it in the US and then we also centralize. I mean ideally, even for our more sophisticated offering, we’re still restricted to Europe, Australia, US and Canada. It’s just with the currencies and level of sophistication of our offering those are the markets that responded best. To make it easy, that’s the recommendation. You got to use a company that is already embedded in it to where their standard procedures don’t have you questioning your tactic. Marylou: Okay. At what point in the pipeline does the agency disengage or do you take it all the way to close for your client base? Peter: We take all the way to close. What we’ve built is, I have it off screen time so I’m going to look away, but I can give you how many steps it takes to close the data range and the specifics. Marylou: Let’s do it. I […] who are on this podcast. Peter: I’ll give you the most important aspect and this is, whenever we ask a company how standardized their operating procedures are from a marketing and sales organization and they don’t have these specifics, it’s very hard for them to have the performance data to make insightful decisions. We always say, “You have to know this information if you want to improve it.” You have to weigh yourself before you try to lose some weight. I will run you through it. Assuming that we have the first call, the connect call is from an individual who’s either come to us with a problem or they raised their hand, we then do a business assessment and on that assessment, we gather business intelligence not directly tied to our service offering. If you only ask questions that are one tier away or one degree away from your offering, you don’t really care about the company. We get all the business intelligence necessary for us to make insightful decisions as if we were—because we’re an outsourced marketing department, essentially—as if we were an employee. We need to know what’s important to the business or at least important decision makers around us. We get that call from connected to exploratory where we go over the business assessment with them and highlight the areas that are our concern. Areas that probably is an area of focus for us to help them is about a week. It takes about seven days from that completion. The connect call to the completion of their business assessment to the next call. Pretty straightforward. And they want this, they’ve actively engaged, we’re putting hurdles in front of them which is the conceptual commitment. By accepting our initial offer is a yes, by showing up on the first call is a yes, by completing our business assessment, it’s a yes. You’re seeing a progression of commitment demonstrated by our prospects which is increasing the probability of close. The next step of that once it’s done, we then have to do our due diligence. Like with financial advisors, I will not tell you how to invest your money without looking at your account. We’ve created a diagnostic process, which is an internal one. We do complementary what other companies charge for. We’ve also systemized that through standard operating procedures that identify a lot of those typical issues and criteria to complete those diagnostics, and then from there, we’d hop on a call to review our findings like the doctor who’s giving you a prescription and we’d say, “This is our prescription.” it’s pretty straightforward. You’ve gotten them all the way to this point, you’ve now shown evidence that you can help them, but our objective is not a client conversion in the diagnostic, it’s called a confidence rating. Our team needs to be greater than 90% confident we can achieve the desired results shared with us through our business assessment and supported by the evidence in our diagnostic to move forward. If you’re not, do not close the deal. Peter: That typically goes into another week. Each of these, we try to give a week, we call them a sprint because we do operate sales in our business organization off of these […] rituals, and we have sales and client services offerings as well. We try to do these at a sprint by sprint basis. You’ve done it in a way that’s very relationship-oriented. Shoulder-to-shoulder came to my mind when you were talking about it because we are working hand-in-hand, shoulder-to-shoulder with our prospects so that they understand—if it doesn’t end up that we take them as a client—they understand the why and they know where they need to go. They have the blueprint now of what they need to do, should they want this type of offering in the future. Peter: My favorite statement is, “I can give you the playbook, but you want to hire my players.” At the end of the day, I can tell you exactly how to solve your problem but there’s a reason why people watch a lot of weight loss videos and a lot of exercise programs, they don’t want to do the work. We’re very aware of that behavior within our prospects to feel like they can do it, be motivated, want to learn everything they can and then be told that, “You don’t have to. We’re going to do this for you.” that changes it to be a more emotional transaction which is the key. They have to feel that you’re on their side and they have to believe it. This isn’t fake. We’re not saying this because it’s a good tactic to implement in our sales organizations for us to be effective. If you’re not genuine in these interactions, you will be unsuccessful. Marylou: Yeah, it’s a so much healthier way to work. Peter: It’s just happier. Tie this to the distributed environment, it’s a lot easier to motivate people when the sales process inherently built to create value and be enjoyable rather than be negative. It is true, if you’ve identified a targeted universe of prospects and you want to aggressively go after it with no care to the health and mindset and effects to your sales organizations because you’re trying to drive for some investor-backed objective, then yeah, it’s very difficult to hire these people remote. Because they’re going to need your embrace, they’re going to need culture to stay motivated, and you’re going to have a churn rate of 12 to 24 months pretty easily. But if you create an environment that’s pleasurable for both parties, a win-win, then people can work anywhere and be successful with it and they really enjoy what it is they do every day. Marylou: Wow, this has been great. We’re running out of time here. I would love for people to know where to contact you and just so you know, Peter, I’ll create a page on my website that they know to come to, to download anything you would like and get your contact information, but in the meantime, if they’re driving along saying, “I want to know more about Peter.” How do we reach you? What’s the best way for us to get a hold of you? Peter: The easiest way is going to be very uhurunetwork.com. Take a look at our site. We practice what we preach. We have an entire consultative guide that was based off of our call recordings, transcribed it with insightful direction and information, and a lot of resources. I’m open, peter@uhurunetwork.com. I put my email out there in the world. My biggest ask is, if you email or reach out, have it be specific, have it demonstrate an area of weakness that I can provide guidance in, that’s the most productive way. Marylou: Wonderful. Well, thank you so much for your time. Everybody, I think this is a great way for us to really look at as we’re going into 2019—we’re recording this in November of 2018—it’s a good way for us to look at the balance of in-house versus outsourcing, but also collocation versus distributed and get an understanding of the benefits that are coming before us. We’re getting a younger workforce, they’re used to more freedom than what we old timers were used to, and the community aspect is in their DNA in a lot of respects. They want to be able to engage with their fellow people and we have the tools to do that now. Before it was, “I don’t want you to be out there in the middle of nowhere and I can’t get a hold of you. I can’t see you. I can’t know what you’re doing.” We have full accountability no matter where we are in the world. The ability to pick where you want to live and perform the work you want to perform with the value that Peter’s been talking about is a win-win for everybody. Thanks again Peter for being on the show. I very much appreciate your time.